Khichdi, nothing but a healthy n delicious one pot meal in which rice cooked with vegetables and lentils. 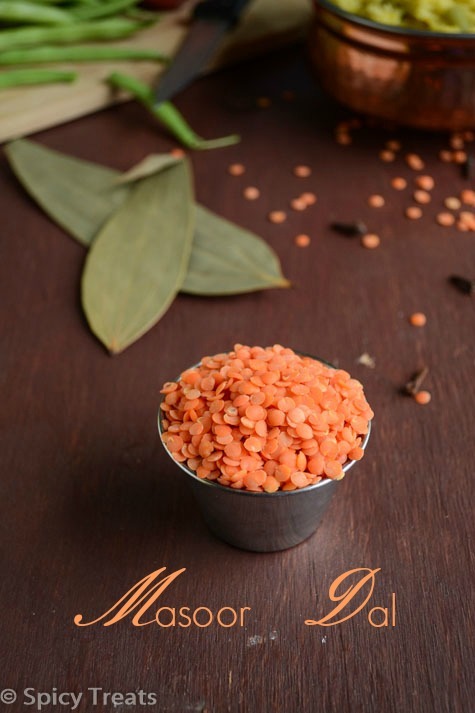 I usually make khichdi with moongdal and i have already posted simple Carrot Peas Khichdi. 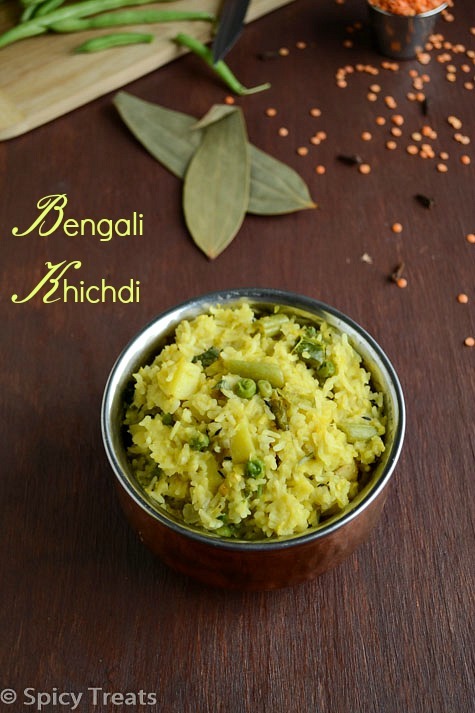 This Bengali Khichdi is an interesting recipe which i came across in Tarla Dalal site. 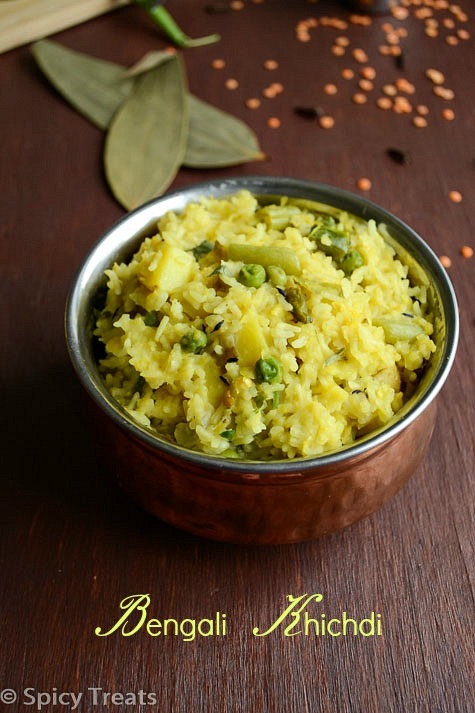 This khichdi is loaded with spices, which we use for biryani /pulao very flavorful and healthy. 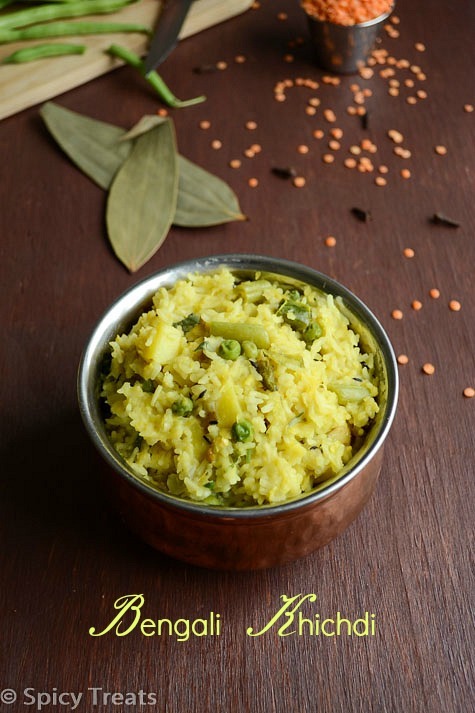 Kids will definitely love this khichdi as its mild spicy and very flavorful. 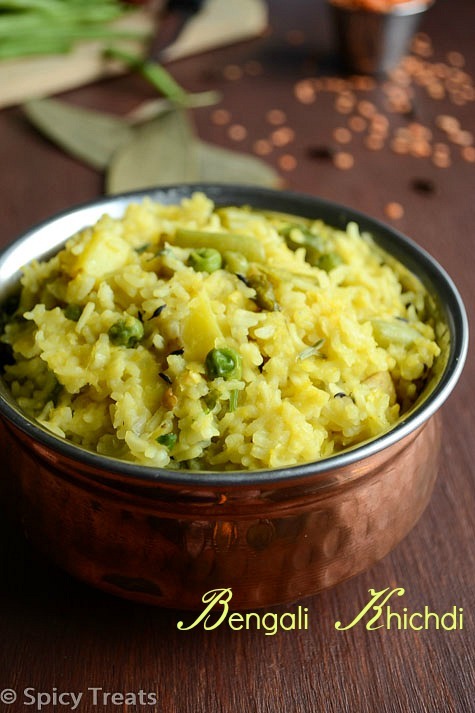 If u are looking for something quick, easy & delicious one pot meal for lunch on busy weekdays then this Bengali Khichdi is one best option with loaded nutrition. Wash rice and dal separately and soak it for 20-30 minutes separately. Wash and cut vegetables and keep ready. Then add green chillies, crushed ginger and garlic and saute it. After that add finely chopped onions and saute till it turn golden brown. Then add potato, green beans and turmeric powder and stir fry for 1-2 minutes. Now add 5 cups water, fresh or frozen peas , enough salt stir well and cook covered till it starts boiling. Once it starts boiling add drained rice and masoor dal and add handful of chopped cilantro and mix well and cook covered till rice done. If u want you can pressure cook for 1 whistle. That's it..Delicious Bengali Khichdi ready. Serve Hot with papad and pickle. It looks really tasty, and healthy too! Bravo! I love khichdi any time because is very comforting food.. Delicious.. Sounds good with masoor dal in it comfort meals! Healthy & yummy kichdi........looks very tempting. 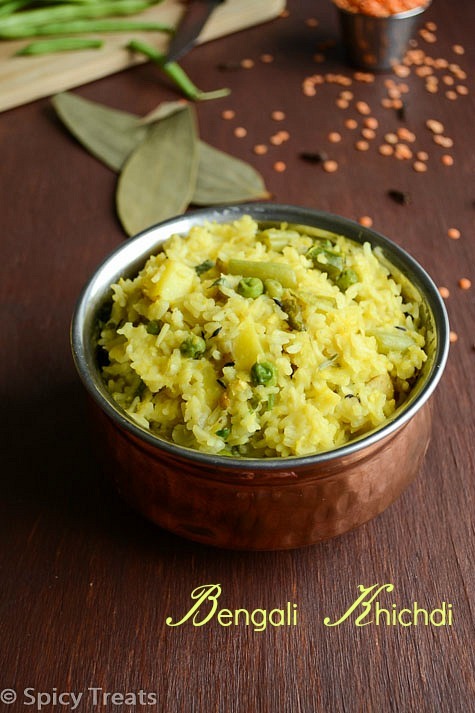 Delicious and healthy khichdi, looks yummy. sounds very interesting n inviting too..
Would love to try this dish! What would be a good sub for green beans? I'm not really a big fan of them. you can skip green beans and use potato n peas alone or add carrots if u like. can we replace masoor dhal with thoor dhal? Yes.,you can replace but taste wise Masoor Dhal is best compared to Tuvar Dhal for Khichdis. Thank you so much Meena for trying my recipes, if you have a picture of it plz mail me or msg me on FB. Thanks!